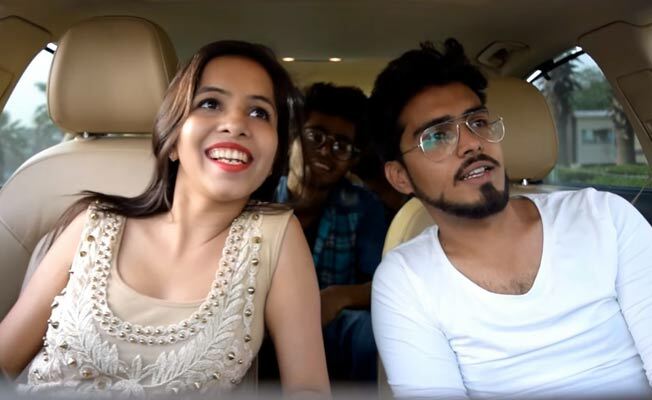 Who is Dhinchak Pooja - Selfie Maine Leli Aaj Singer and Why is She so Popular? Who is Dhinchak Pooja and Why is She So Popular? Do you ever hear of Dhinchak Pooja? If not, we will tell you about Dhinchak Pooja and why is she popular? Who is Dhinchak Pooja? Snapshot from her Youtube Video. She is a recent YouTube sensation and gaining popularity via her tuneless, rhythm less YouTube video songs. Some of the unknown facts about her shared below. Her real name is Pooja Jain, she was born in Uttar Pradesh, India and now lives in New Delhi. She has done her schooling from Model School of Rohtak and currently She is studying in Guru Gobind Singh Indraprastha University (GGSIU). Her few of the famous songs are Selfie Maine Leli Aaj, Swag Wali Topi, Daaru, etc. She gained popularity from her most famous song Selfie Maine Leli Aaj. Her song Selfie Maine Leli Aaj has more than 12 Million views on YouTube. Lets have a look at her most famous song below. She is popular due to her recent songs which are recorded for fun, her songs are weird, low on lyrics and high on fun. She joined the You tube on 2 October 2014 and till now she has uploaded only 11 video on her channel. Her first video song Swag Wali Topi was uploaded on 29 July 2016 almost 1 year, 9 months after creating her channel. Her first video got viral instantly and got more than 2.4 millions view till now. After that she released some more videos, however they couldn’t repeat the success of Swag Wali Topi. Her most of the videos got thousand of the views and Daaru is one of the songs which got broke the record of her previous videos and got watched by more than 4.3 million times. Dhinchak Pooja most popular video is Selfie Leli Maine Aaj which got more than 12 Million views till now. Selfie Leli Maine Aaj made Dhinchak Pooja is a popular face among the youths and she got insane popularity through this song. This song also increases the numbers of subscribers of her YouTube Channel. Dhinchak Pooja Youtube Channel has more than 80 thousand subscribers and number of subscribers are increasing rapidly. Dhinchak Pooja got insanely views on her videos on YouTube and she might have earned handsome amount through the ads serving on her channel. Some of the websites and YouTube channels are suggesting that she might have earned thousand of USD in short period of time. Check Dhinchak Pooja Earnings. Many interesting, funny jokes and memes are floating on internet which are related to Dhinchak Pooja. These memes are sharing on the Whatsapp, Facebook, twitter and other social networking sites. If you have some more interesting memes and jokes kindly share with us and we will publish them. She got famous through her weird songs and social networking users made her popular like they made Sonam Gupta in the month of November 2016. Read more about Sonam Gupta. *This post is written only for fun and entertainment, we don’t want to hurt anyone’s emotions and defame the name. If you have any problem with an article, please contact us and we will take necessary steps to solve the issue.